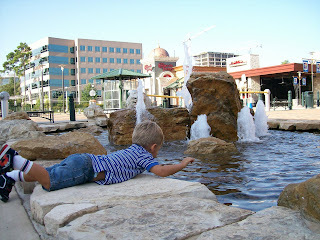 Have I mentioned that Dawson likes fountains? 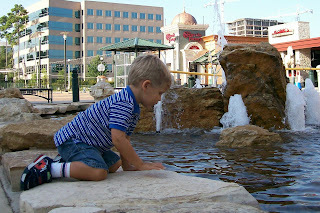 He was enthralled with them at the Tyler Rose Garden and here he's playing at the fountain outside Barnes and Noble in The Woodlands. He would have happily jumped in and splashed around if I would have let him. Has he been in the fountains down at the Market Place (or Market Street?) down in the Woodlands. He'd love it!